On September 17, Tongans celebrate the birthday of Crown Prince Tupoutoʻa ʻUlukalala. It is one of the country's official public holidays. 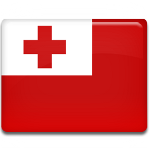 Tonga is a small kingdom in Polynesia. It is one of the few states in the world that has never lost its sovereignty to a foreign power. In 2010, the Kingdom of Tonga was transformed into a fully functioning constitutional monarchy. The birthdays of the incumbent monarch and the heir apparent are celebrated in Tonga as public holidays. Crown Prince Tupoutoʻa ʻUlukalala was born on September 12, 1985 as Prince Siaosi. Tupoutoʻa is the title traditionally given to the Crown Prince of Tonga. He became heir apparent to the throne of Tonga in March 2012, when his father ascended the throne as King Tupou VI. In July 2012, Tupoutoʻa ʻUlukalala married Sinaitakala Fakafanua, who is his double second cousin. Their marriage caused much controversy over the traditional Tongan practice of marrying closely related cousins. The couple has two children together, a son and a daughter. Crown Prince's birthday is widely celebrated across the Kingdom of Tonga. If September 17 falls on a Sunday, the following Mondays is designated as a non-working public holiday.